During my stay at Serene Woods in Thandikudi, near Kodai, I come across this unique blossom of flowers, a large cluster of vivid pink flowers called Justicia Carnea bloomed at the house next to my uncle’s property. 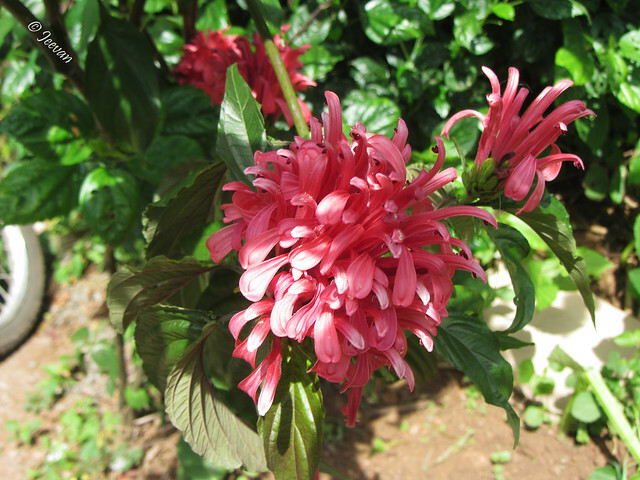 Widely known as Pink Jacobinia, Brazilian Plume and Flamingo Flower is an amazing perennial shrub that grow in sun or shade and blooms in the warmer parts of its range . 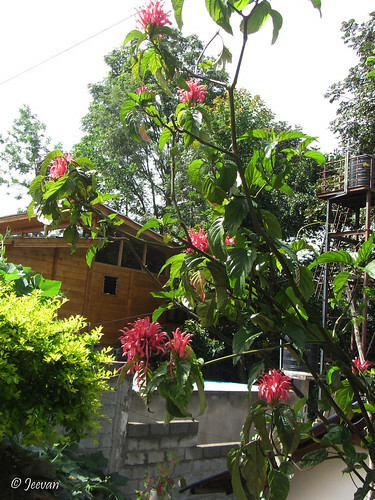 A bit taller to three to seven feet wide, many tubular with unusual pods holding flared flowers, curving outward from the center is bloomed throughout the summer in colors ranging from pink to purples and oranges. The leaves about 8” long are prominently veined, rich in green and pointed on the end. The branches of the plants are delicate as the other features of the same and are fragile to traffic or wind. Native to tropical and subtropics of Brazil and South America, the Brazilian Plume flower is a member of the Acanthus family and prefers to grows well in partial to full shade. Belong to shade plant variety, about half a day of sun will witness the best display of flowers. 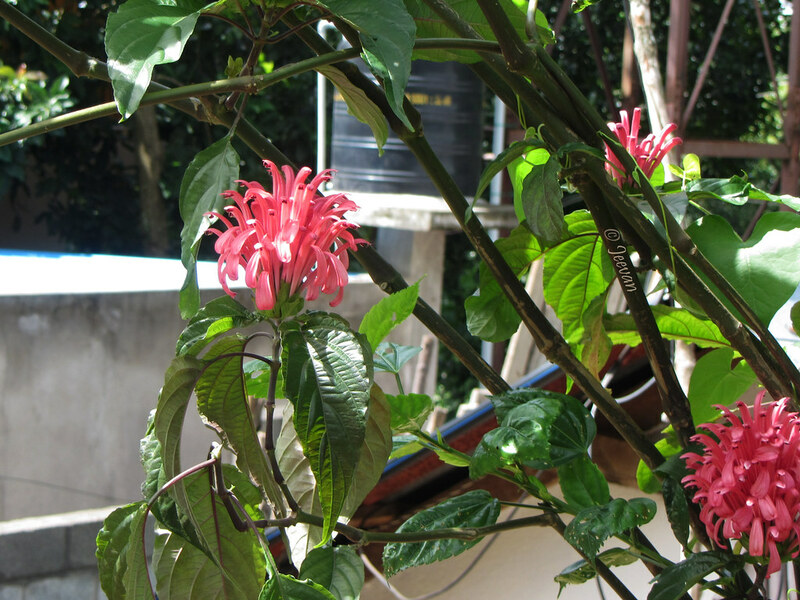 It is cultivated as a decorative plant and is planted as a feature plant in warm temperate and subtropical climate. This is something! Beautiful color too. Very lovely and beautiful flower. This is my first time seeing these pretty and exotic flowers. India is a big country and you have different seasonal climates that could grow many types of flowers and fruits. I just replied you in my blog that durian fruits could be found in Kerala. Thee are beautiful blossoms. I haven't seen anything quite like it. We have these in Melbourne also, Jeevan. You've photographed this flower really well.